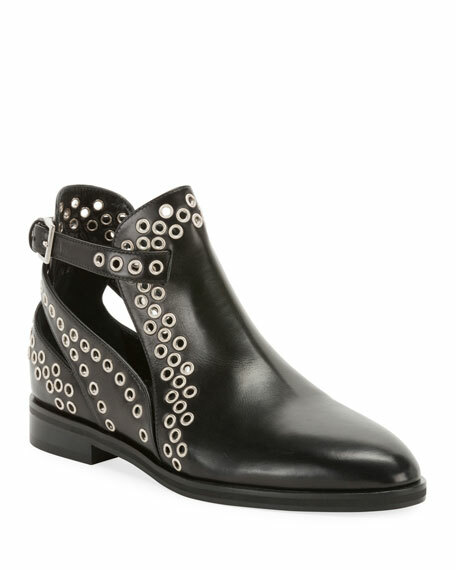 ALAIA leather booties with swirled grommets. 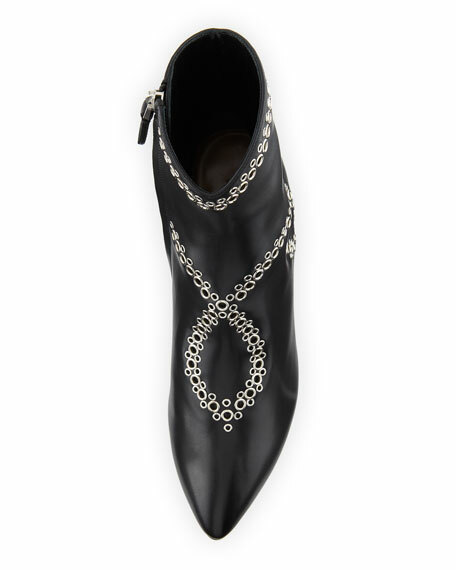 ALAIA suede ankle booties with laser-cut and scallop detail. 4.3" covered stiletto heel. Round toe. Lace-up vamp. Leather lining and sole. 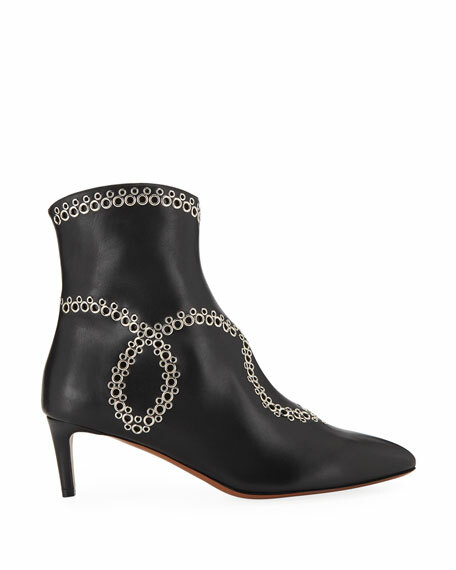 ALAÏA leather ankle booties with grommet trim and cutout detail. 0.8" stacked flat heel. Round toe. Buckle strap at side. Leather lining. Rubber outsole. Made in Italy. 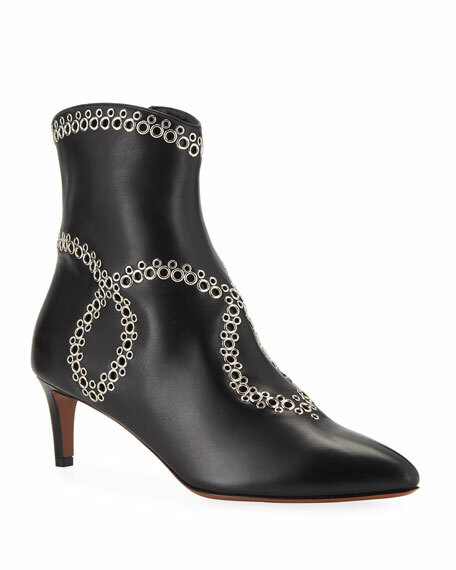 ALAIA smooth leather ankle booties. 3.5" covered stiletto heel. Pointed toe. Corset, lace-up side. Leather lining. Smooth outsole. Made in Italy. Alaïa suede ankle booties. 2" floral-etched clear plexi heel. Almond toe. Side zip eases dress. Leather lining. Smooth outsole. Made in Italy.